Multiple CE companies have been selected to pitch at the Wisconsin Early Stage Symposium being held this week, November 2-3. The annual conference will feature investor pitches where companies give a 7 minute pitch to investors. CE companies selected to pitch include Murfie.com, Door 6, Flatt Cola, and Spill. In addition to this, the “Elevator Pitch Olympics” will also take place, where companies will have 90 seconds to pitch their idea to a panel of judges. For more information on the companies pitching, go here. Other CE companies will also be involved in the symposium. Justin Beck and Forrest Woolworth of PerBlue will be on the panel “Campus entrepreneurism: Fad or fixture?”. Chris Meyer of Sector67 will be on the panel “Lean start-ups: Innovating for success in product design and life sciences”. And Mark Gehring of Asthmapolis will be on the panel “Intellectual property: An investorsâ€™ perspective in a post-reform world”. For more information on these panels check out the agenda. Madison startup and CE member Our Ballot Box just launched its free, open polling platform for residents to vote their opinions, on the record, on the issues. Madison Alders and Mayor Soglin can also use the system to send simple questions to residents in seconds. Our Ballot Box is a constituent communication system that represents a major step forward for Madison by answering the most important question in a democracy: “What do we want?” Astoundingly, as a democracy it has taken us up until now to create an open, verifiable platform for citizens to definitively voice their opinions on the issues and be counted. Our Ballot Box was also just profiled by the Cap Times here. The UW-Platteville Entrepreneurship Program is hosting Capital Entrepreneurs members Justin Beck and Forrest Woolworth of PerBlue, Chris Meyer of Sector67, and Mike Fenchel of 7Cees this week for “Meet â€˜n Eat with an Entrepreneur.” The event brings together young entrepreneurs to speak about their journeys as business owners and what it takes to put ideas in motion. Weâ€™ll be participating one-on-one with students to discuss the success and challenges we face every day as entrepreneurs. After dinner, students team up to brainstorm new business ideas, and then give 2 minute pitches to Justin and Chris. The event is Wednesday, October 19th from 5 until 8PM. Dinner is free for UW-Platteville students, and will be held at Ullsvik Hall in the Nohr Gallery. Registration is open for students, but space is limited. CE founding member and Fast Company Expert Blogger Nathan Lustig was featured today. His Fast Company post offered insight and advice on raising money from friends and family. Definitely check out the full post for some great advice on friends and family funding. CE member company Murfie.com was recently featured on NPR. Murfie’s All Tech Considered segment highlighted the company, as well as one of their customers who digitized over 900 CDs. Murfie will burn your old discs to a digital file, recycle the cases and even resell the album online. It’s part garage sale, part iTunes. Read the full article and listen to the broadcast here. CE member PerBlue – a mobile and social gaming company, and PlayMob – a London based social company for gaming and doing good through games, paired last month for a unique fundraising campaign benefiting SOS Children. The virtual giving initiative resulted in a donaion of over 2500 meal vouchers for orphans affected by the droughts in Marsabit, a district in North Kenya. During the campaign, players of PerBlue’s popular MMORPG game, Parallel Kingdom (PK) purchased the Soup Can Hat – a limited edition in-game object – using virtual currency. The hat was available for two weeks in September and sold for 550 ‘Food’, and a portion of the contribuions were then turned into real meal vouchers for SOS Children relief efforts in Kenya. Check out the full release here and view the InfoGraphic. CE member Spill has seen a lot of traction recently, and was just featured on MTV’s Act Blog. Check out the post here. 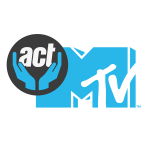 About MTV Act: MTV Act is where fist-pumping and lending a helping hand collide. We raise a glass to the risk-takers and change-makers, and make it easy for everyone to take action – right now – on issues they care about. CE member Heidi Allstop and her company Student Spill were recently highlighted in the University of Wisconsin’s 2010-11 Office of Corporate Relations Annual Report. Student Spill is an anonymous, online system that offers messages of support from peers during times of vulnerability. Spill was accepted into TechStars Boston this summer and has also recently been featured in The Boston Globe and The New York Times. Spill is currently operating on 10 campuses nationwide and is planning on expanding to 15 more campuses this year, as well as launching a corporate program.